“Following the implementation of the Administration’s zero-tolerance policy, the June 2018 Southwest Border Migration numbers declined by 18 percent when compared to the previous month,” Department of Homeland Security (DHS) Press Secretary Tyler Q. Houlton said in a written statement obtained by Breitbart Texas. 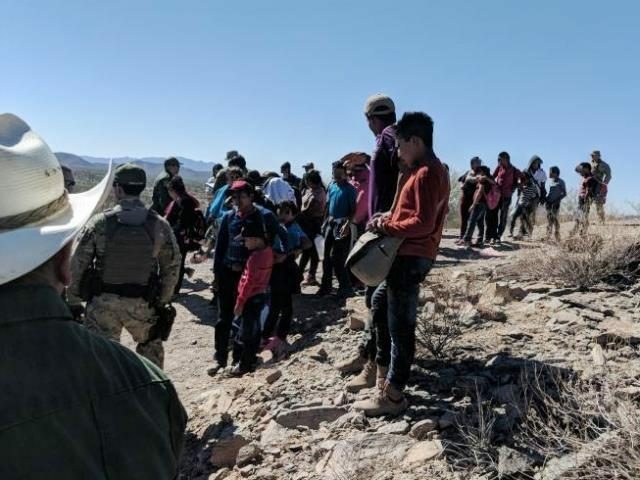 Border Patrol agents arrested 34,114 illegal immigrants between the southwestern border ports of entry, officials stated in the June Southwest Border Migration Report. This number represents a decrease of 6,224 migrants arrested (18 percent). The decline marks the first time since January 2108 that the number of total apprehensions declined. The apprehension of Unaccompanied Alien Children (UAC) and Family Unit Aliens (FMUA) also fell in June when compared to the previous month. The apprehension of UACs fell by 1,273 to 5,115 (20 percent), officials reported. Apprehensions of FMUAs fell by only 36 migrants to 9,449. Migrants continue to exploit the loophole created by Congress in 2008 that prohibits expedited removal of minors without a hearing. Since that time, hundreds of thousands of migrants have flocked to the U.S. border to take advantage of what has become a magnet for illegal immigrants. “We continue to call on Congress to address the crisis at the border by closing legal loopholes that drive illegal immigration,” Houlton stated. Texas continues to lead the nation in illegal immigrant apprehensions by Border Patrol agents. Rio Grande Valley Sector agents apprehended a total of 14,712 migrants in June. This was down from 17,492 in May. Nearly 8,000 of those apprehended in June were classified as FMUA or UAC. This fiscal year, the largest number of FMUAs and UACs came to the U.S. from Guatemala. Agents arrested a total of 17,649 Guatemalan minors and 33,389 family units along the entire southwest border with Mexico. Hondurans represented the second largest group of migrants arrested, followed by El Salvador and Mexico.